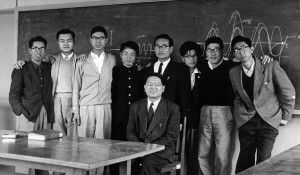 Hong Kong student Allan Lee, third from left, with ICU classmates. 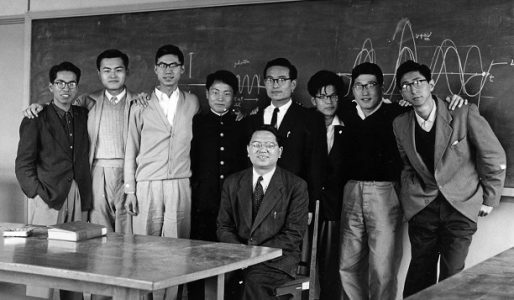 International Christian University (ICU) in Japan was built on the hopeful aspirations of post-war Asia. When it opened its doors in 1953, it represented a desire to use the power of higher education to overcome division and nurture peace in the region. 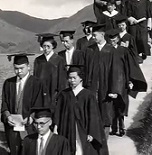 The United Board saw in this new institution an opportunity to continue its support for educating the Chinese people, and so from 1953 to 1986, it provided 112 students from Hong Kong with scholarships to attend ICU. Years later, many of these alumni believe their lives were transformed by their United Board scholarships and ICU education. 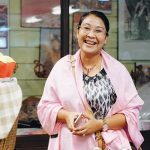 A group of them share reflections of their years at ICU and the impact their education had on their personal and professional lives in a new booklet, Turning Lives into Legends. In addition to the reflections of 19 Hong Kong scholarship students, the booklet includes forewords by United Board President Nancy Chapman and ICU President Junko Hibiya and a short history of the relationship between the United Board and ICU. To download a copy of Turning Lives into Legends (9 MB), click here.